Choosing a first pair of prescription eyeglasses for a kid can be an exciting milestone—though slightly overwhelming. Between the available frame options, lens materials, and special lens coatings, how do you know what to pick for your child’s glasses? Priorities should be placed on durability and comfort—if glasses are broken or uncomfortable, that means time spent not wearing them. So, what are the safest, most durable glasses options for children, toddlers, and babies? Check out our top six things to consider when getting a new pair of glasses for your kid. Polycarbonate is one of the most durable lenses available, so it is best for a child's lifestyle without becoming a potential danger. This lens material is impact-resistant, so if a child is playing and falls, these lenses won't shatter like plastic or glass lenses do. They are also lighter than plastic or glass lenses, which helps the child's adjustment to wearing eyeglasses. "If your child wears prescription glasses, we strongly suggest polycarbonate lenses for their safety," says Dr. Hodgson of FramesDirect.com. "These lenses are impact-resistant, which will help protect your child from injuries if he or she has an accident while wearing eyeglasses." Lenses come with several options, and a few of these are a wise idea for your child. Scratch-resistant coating on the lenses will ensure that your child's eyeglasses will last even if they're dropped or mishandled. Most polycarbonate lenses come with UV protection, so be sure to check with your eye doctor to make sure this option is included. All polycarbonate and hi-index lenses we use offer 100% UVA/UVB protection. Plastic frames used to be the preferred type for children because of their durability until metal materials became more useful and durable. Whether you’re looking for children’s designer glasses, or something budget-friendly, there are plenty of lightweight, stylish, frames in a variety of colors. Memory metals like the material used by Easytwist are perfect for kid’s glasses as they can withstand rough treatment without warping. These frames are very useful if your child occasionally mishandles their glasses or tends to fall asleep while wearing them. Fortunately for parents, many designers make specialty children's frames that fit their needs and have an attractive appearance. Though your child may want to pick out frames on their own, parents should oversee the procedure to make sure they are getting frames that function correctly for them. For instance, rimless or semi-rimless frames are generally not recommended for children, because the frames don't secure the lenses as effectively as other frame types. If rimless frames are mishandled, they can simply lose the lens, or in more severe cases, the lens can become chipped inside the frame and cause a potential injury. Work with your child to pick a pair of durable kids glasses that will work for their activity level and prescription needs, as well as suit their sense of style. Another benefit of metal frames is that most of them come with adjustable nose pads, with non-slip pads available as an option. This benefits the child in two ways: the nose pad can be adjusted so it fits comfortably and securely, and the non-slip pad will keep a child’s glasses from slipping down. Though glasses made for kids are relatively durable, if your child is an active sports enthusiast, then goggles are recommended. 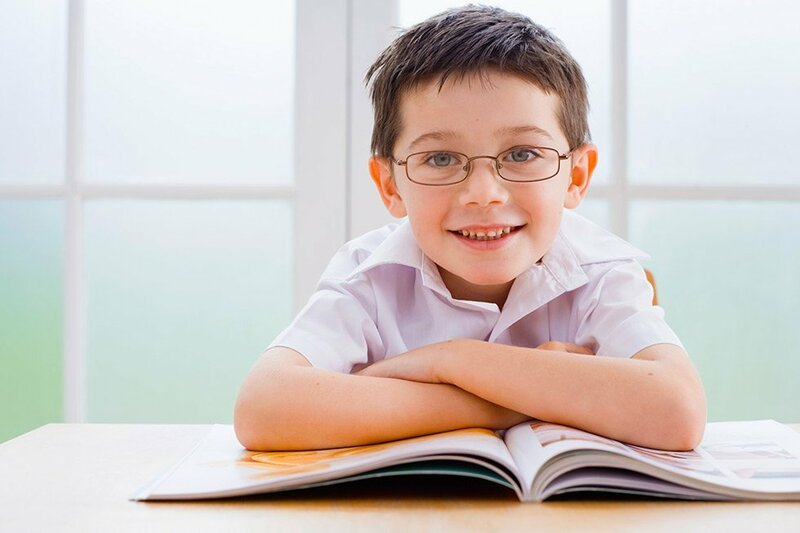 Typical eyeglass frames don't secure to the child's head during active moments, and if the glasses fall off repeatedly they could break or cause an injury. Prescription goggles secure to the child's head so they don't fall off, and the material is safer, more shatter resistant, and more durable than typical eyeglasses. Most doctor offices and eyewear designers offer warranties on eyeglasses for children. 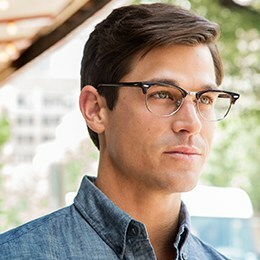 Make sure you find a pair of eyeglasses that has at least a one year warranty. Aside from a warranty, it's also a good idea to have a spare pair of glasses on hand in case your child's glasses are lost or broken, and you have to wait for another pair to be ordered. With these tips, you can find a durable, comfortable, and stylish pair of eyeglasses to suit your kid’s needs. They may want glasses that look like yours, or they may want to let their personality shine through in a style that’s all their own. With this guide, you’ll know you’ve chosen the safest children’s glasses materials available no matter what style they pick.